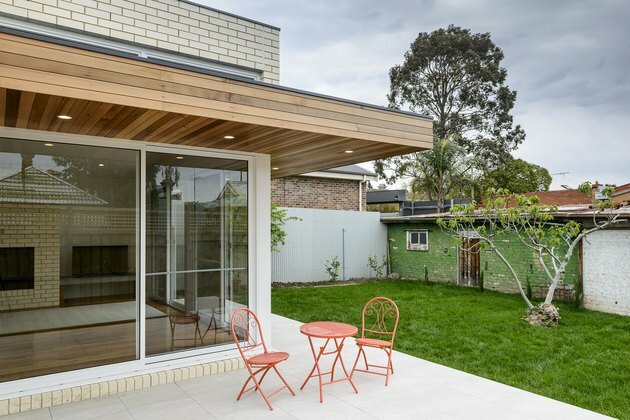 A couple in Melbourne, Australia had their first child on the way when they opted to take on yet another adventure: the renovation of a 200-year-old house. The property sits among Edwardian and Victorian-era homes in a historic neighborhood, and its interior reflected its age: the structure was cramped and dark, and an outhouse stood in the backyard. 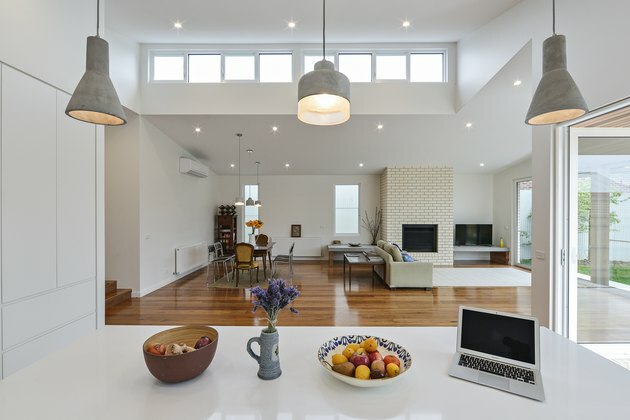 The pair was determined to create a bright and open space where they could raise a family, so they hired Nigel Grigg from ITN Architects to reimagine this property anew. 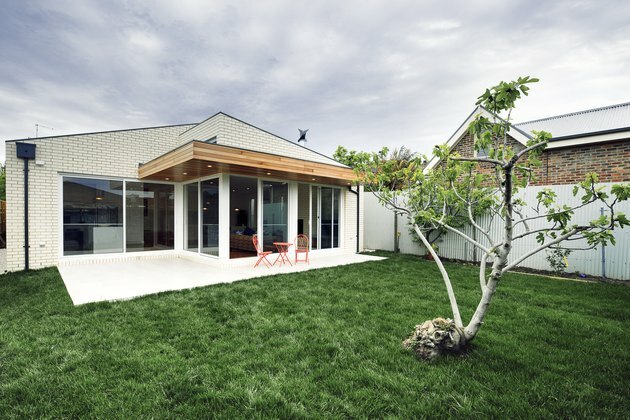 By keeping the existing rear garage and outhouse — which will soon be turned into a separate studio apartment — the team was able to build the address toward the rear of the site, complete with south-facing glass doors that lead out to the fruit trees in the manicured backyard. And because the owners also wanted to make room for their 20th century furniture and art, the layout was designed with strictly straight lines to provide a clean backdrop for the collection. 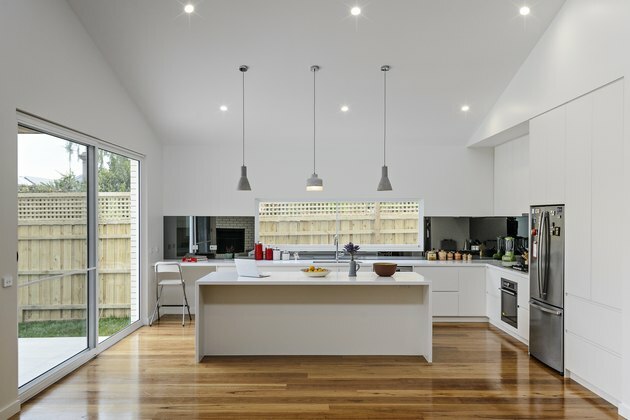 In the end, the old property got a fresh start as a modern place for a family of three. Grigg had previously worked with the family and knew that one owner was involved in apartment construction. So, Grigg installed white window frames — instead of the black ones the owner regularly uses on the job — for a small differentiation. Western Red Cedar extends over the outdoor patio, which leads to a backyard dotted with carefully re-planted fruit trees. "The biggest challenge was dealing with the slope of the site without adding too much complexity to the floor levels and ceiling heights," Griggs said. The team was able to use the ceiling height variations as a design advantage by installing aluminum windows by Capral Limited. A dining table and mismatched chairs from the owners' collection provide a vintage element to the modern space. Walls are covered in Dulux "Natural White" throughout the renovated area. Griggs designed the style of the cabinetry, which was then built by local outfitter Moorabbin Cabinets. An AEG oven and Westinghouse refrigerator oppose sliding glass doors. 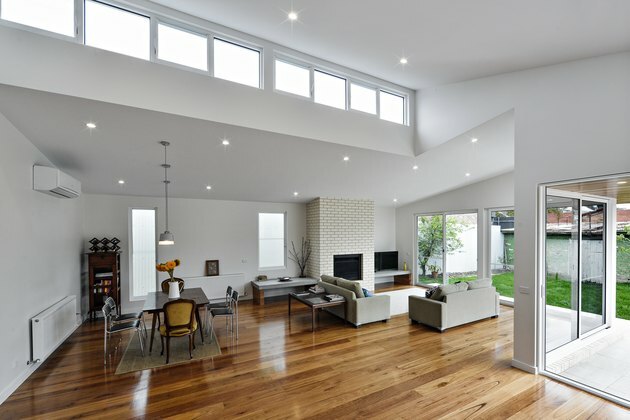 Wood floors from Tait Flooring cover the open layout. Concrete pendant lights from About Space hang above the island. 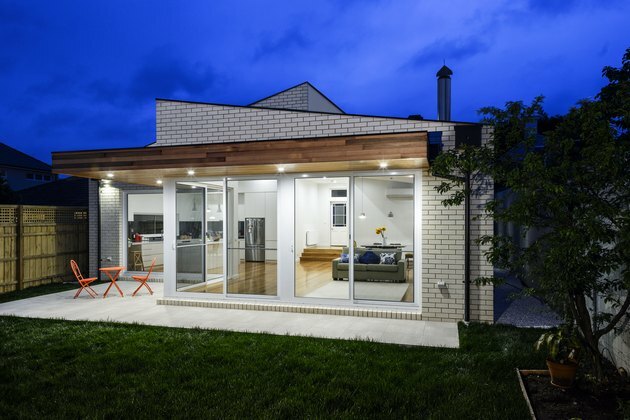 The home retains the structural changes that are historic to the property, which are best seen from the backyard.